The Irish Ecological Association was founded in 2015 as a learned society for ecologists working in Ireland (Northern Ireland and the Republic of Ireland) and/or with an interest in Irish ecosystems. The IEA works in partnership with us to strengthen networks and opportunities for ecologists and evolutionary biologists in Ireland and the UK. The Irish Ecological Association was established in 2016 as a partner organisation to the British Ecological Society. It provides a forum for an international group of Irish-based ecologists and professionals interested in ecological science to meet, collaborate and solve ecological problems. 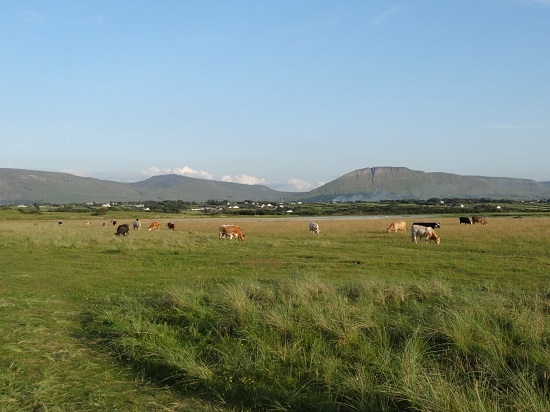 With a focus on Ireland, the work of the IEA also draws on global themes relevant to ecosystems around the world. It is run on an entirely voluntary basis with free membership to the BES and non-BES members alike. To join their community, email one of the organisers above, email the Irish Ecological Association (IrishEcologicalAssociation@gmail.com) to be added to their mailing list and follow them on Twitter with @irish_ecology. Hosted between NUI Galway and GMIT, we invite you to this exciting programme of oral and poster sessions with national and international plenary speakers, training events, workshops and networking opportunities. The conference will interest academic and professional ecologists and students working in higher education and research institutions, as well as non-governmental organizations, ecological consultancies and other professionals in ecology. Stay tuned for updates, exact dates will be posted shortly. The IEA held their first scientific meeting and Annual General Meeting ‘IEA Conference Leaflet 2016‘ on 25 and 26 of November 2016 in Sligo, Ireland.